A section of the latest Communitoid that touched upon people asking how to gain a higher profile in the community resonated pretty solidly with me. A lot of good points were raised, and, having been floating around here for a while, I figured I'd share my own experience and opinions on the topic of making yourself known. Mind you, I'm not so vain as to assume I'm that high-profile a member, so don't think this is about tooting my own horn; at best, I'd say I'd rank an "Oh, that guy," level of awareness amongst other Dtoiders. Rather, I've been ranking with plenty of others with low fap counts and mere smatterings of comments for long enough that I feel I'm in a good position to tell you guys, new or old, not to worry about it. 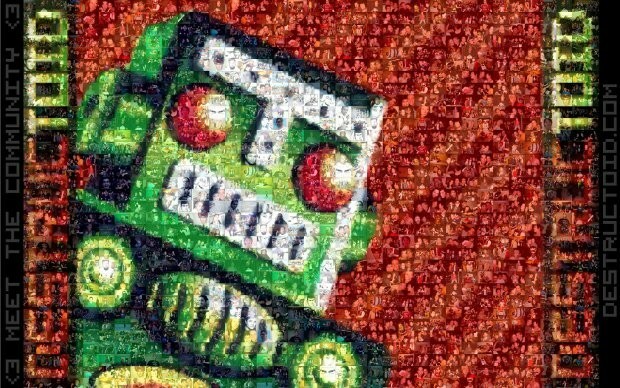 One of the first things you should recognize regarding Destructoid, is that while its community is what makes it so great, and is one of the main distinctions between Dtoid and the slew of other gaming sites out there, that community isn't entirely unified. That's not a sleight, by any means; rather, the variety of options out there mean that Destructoid has something to offer for everyone. The forums, the cblogs, the stream folk, and even the front page have their own, unique vibes, and what may appeal to the denizens of one realm may not be as popular in another. One of the best things any new member can do upon first signing up is to try everything, and see what sticks. Personally, I mostly hang around here in the cblogs and am all over the stream chats for both Dtoid.tv and Streamtoid, with the occasional poke into the forums and main article comment; being prone to walls of text, spewing words all over the cblogs is clearly where I belong, while I just don't have the time to keep on top of the forum threads that tend to interest me, given how quickly they move. What I'm saying, though, is you should find a niche you feel comfortable with before you concern yourself with raising your profile. Once you've found a subsection you feel you can call a home, start interacting. Crying for attention isn't going to get you much, save for laughed at, and as was made clear by the Communitoid crew, you'll get a lot more respect for just being a good dude or dudette and supporting your fellow Dtoiders than you will just rolling in and expecting support. At the same time, don't force yourself to comment on things or get involved in conversations or threads you have little point of reference regarding just to get your name out there. Having something meaningful to say occasionally tends to get a bit more attention from one's peers than an onslaught of "haha awesome lol" one-liners all across the boards. Hell, the forums already have a subsection dedicated to the typical one-off, rapid-fire comment games and short-reply discussion threads, as well as massive, free-flowing conversations in The Bar and The Arcade for those looking for small talk. Getting a bit more specific, given my cblog leanings, let's talk about blogging here on Destructoid. As was mentioned in the podcast, and occasionally comes up from other staffers as well, getting a job at Destructoid, especially as a writer, isn't the most likely thing to happen. If they were looking to hire someone, there would almost definitely be a notification of some sort. That being said, Destructoid has, historically, hired from within, so it can't hurt to post content here. Even if it doesn't get you on the green robot's dole one day, plenty of ex-Dtoiders, even just cbloggers, have catapulted into game industry jobs on the merits of the portfolios they built here. There's a great video below that catches up with a slew of Destructoid alumni to find out where they ended up, and I remember seeing it when it was first featured here and seeing names I'd long believed had just mysteriously disappeared. Community blogging may be something you're doing for free, but if your desire for money outweighs your love of writing (or community interaction, or what have you), you're doing it wrong and should reconsider your goals. And while you're at it, don't let a lack of faps or commentary get you down. Instant, community-based gratification is nice, but there are other forms of acknowledgement out there as well, such as front-page promotion and Topsauce mentions in the daily cblog recaps. If nothing else, you'll get a synopsis in said recaps any day you post, categorized for the convenience of those who prefer their posts in a digest format, which can drum up some interaction a while after your initial postings. Slogging away here and having a place to practice and refine my writing has actually landed me both a guide-writing gig at Gamer Syndrome and an editorial slot at a little start-up called Machine Red in recent weeks, so it does work. If you are serious business about the games writing thing, you may want to take a look at Video Game Journalism Jobs, as new sites post there every day looking for writers. It's almost always volunteer, but many sites like to start their staff in a free capacity before moving them into paying positions upon reaching certain contribution levels or establishing reliability, so there's another way to get your name out there and establish a presence. Even if you do land a paying gig, keep in mind that it's probably not going to keep you particularly solvent, so you may want to keep your day job until you can catapult to something huge, or at least bury yourself in freelance work to the point you're basically paying your bills with your sanity and sleep schedule. Returning to suggestions that apply across the community in general, be yourself. Yeah, that's as guidance-counselor-y as all get out, but it's good advice. Having an internet persona is fine and good, and being inspired by existing luminaries is something anyone creative or expressive is guilty of, but trying to be someone you clearly aren't just because you think it'll get you hits and comments? That always shows, and will just get you overlooked. You're not the next Jim Sterling, as the original has already filled the Jim-shaped hole in the games writing scene pretty well, and Jonathan Holmes' orifices probably aren't equipped to handle more than one Sterling anyway. Similarly, dropping big names for no good reason other than the belief they'll get you attention reeks of desperation and an inability to make one's own mark. Every now and then, someone will mention Sterling solely because his name draws attention, but in the context of a piece that has little or nothing to do with him save for disagreeing with him briefly, or fellating his opinion in an attempt to piggyback on whatever draw he's bringing in. This goes for any editor, or known figures from other realms as well. While it's always good form to cite your sources, acknowledge references, and bring up articles discussing whatever you're writing about if they've something to do with your point, make sure your voice is your own or you'll never get anywhere. Another big thing, be it for blogging, foruming, or even just hanging out in a stream chat, is to listen to feedback. Not so much the whining and trolling end as to those who have constructive input or something to point out. Criticism is often hard to accept, but being able to process it is both an essential part of being a functional human being and one of the best ways to improve and excel. As with anything, however, integrating feedback also takes a bit of moderation, as suppressing stylistic quirks and trying to appeal to everyone can turn your contributions drab and boring in no time, much as it's done to many a triple-A title. For example, if you've read this far, you may've noticed I like to throw a lot of words down when I write. I get "tl;dr" comments now and then, and I imagine it's one of the reasons some readers pass my work by, but at the same time, some of them are probably the sort who get butthurt about review scores without reading the lengthy explanations of what went into that score. I've learned to tighten up what I can, but what it comes down to is that if you have a stylistic thing you're confident in, stick with it. Short form or long form, reviews or editorials, clown versus straight-man... don't be afraid to maintain your thing, so long as you keep trying to polis and refine that thing. Oh, and if you screw up? Have the stones to fix things and/or apologize. It's not hard to make another post in a forum thread. The blog editor lets you go in and tweak things even after a post goes live, and I've taken to making note of any changes introduced in the posts themselves, both as a reminder of errors I've had to correct and as a show of transparency. Hell, the staff themselves make corrections and updates to front page posts all the time. If you say something out of line or link something that gets you warned or timed out from chat during a livestream because you didn't know better, say you're sorry and the mods'll cut you a break. Whenever you do something new, you're bound to do something stupid; hell, my very own first cblog is marred by some nightmarishly oversized images because I didn't notice the bit about how everything gets resized to 620p wide once it's uploaded. After that, I made it a point to resize things on my own and crop them to keep dimensions reasonable. Own up to and learn from your mistakes, and people will notice you're improving. That's about all I've got, really. Thriving here as a contributor is pretty easy, if you feel you've lurked long enough and want to get more involved. 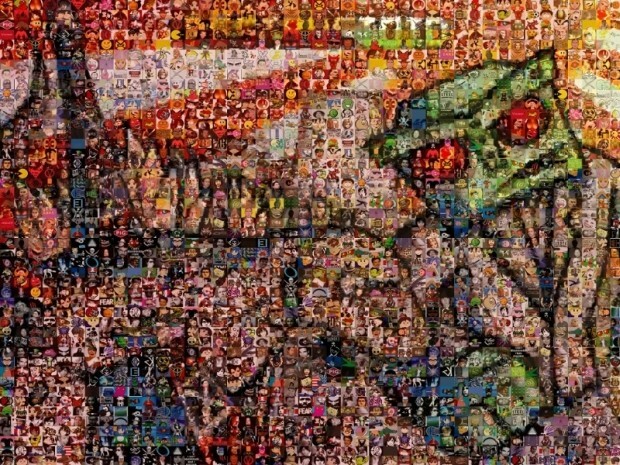 Between the cblogs here, the forums, front page commentary, or even streaming for Streamtoid, Dtoid.tv's community-oriented sister channel, there are myriad ways to make an impression on the writhing mass that is Destructoid. Just try to make it a good one, regardless of how far you hope it'll take you.